The concert from which this recording was taken is a spiritual experience. 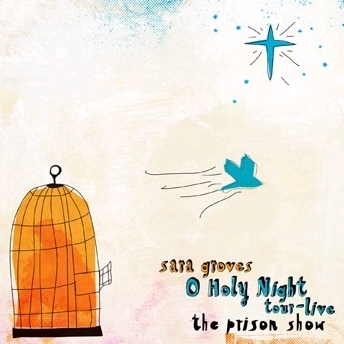 Recorded live on tour, Sara and her band pulled up into a women’s correctional facility for what would become one of their most memorable and wonderful concerts of the band’s history. There’s a pivotal line in the first song, entitled “You Are The Sun”, saying, “I can’t be a light unless I turn my face to You”. Sara strikes at the roots of despair, speaking to helplessness felt by many inmates, as they may find themselves unable to perform, on their own, the personal transformation necessary for their release, but speaking confidently from her faith that no one is beyond transformation. As Sara extends invitation and value to her audience, the response is overwhelming. “We are giving this recording away for free so you can enjoy the rawness of this night of music, and hear the fellowship we experienced” Sara says on her website.